Ok this list is a smidge sentimental for me. SF Girl by the Bay was the very. first. blog. I ever read. I stumbled across it while on maternity leave with Millie and spent many an afternoon during M’s naptime browsing through Victoria’s insanely pretty finds, reveling in the gorgeous pics of her (and my) beloved city and lusting over her light-filled, ever-evolving apartment. So it goes without saying that I’m especially excited to share Victoria’s list with you this week... You're going to love it! Herewith Victoria’s favorites. Enjoy and have a splendid weekend. 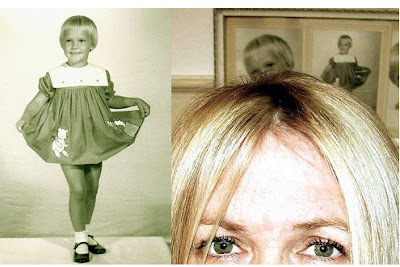 Thank you so much to Joslyn for including me in her Blogger's Favorites post. I am really so happy to be included among such other wonderful bloggers, and to be asked to share some my favorite things - what fun! I hope you'll see something here that perhaps inspires, or that you love, too. Thanks again, Joslyn! My Camera Collection -- I take a camera with me everywhere I go, just running errands around San Francisco, the flea market, cafes, on my travels. Simply everywhere, because I never know when I might see something that catches my eye and I'll want to shoot it. You never know what you might capture, from the random sublime, to an intimate moment, to a candid portrait, or perhaps a gentle still life. Flea Markets -- I love going to the flea market, and am most always in attendance at the Alameda Flea Market on the 1st Sunday of the Month. It's massive, and takes hours to get through, but I love everything about it. 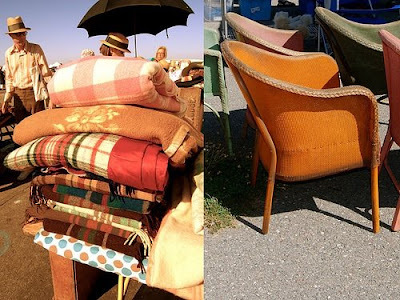 From the great vintage and mid-century modern finds, to the people watching, to the feeling I get when I score a really great vintage find at a really great deal. Flickr -- I am an addict. I am simply and utterly addicted to browsing around flickr and seeing all the amazing and talented photographers and artists out there. I get inspiration there every day. San Francisco -- I love living here. I came here as a child with my parents every summer and even as a young girl, I related to the people, the environment, the vibe. It is just my 'city by the bay'. I love that is a fairly small city (7 miles x 7 miles) and very much feels like a small town. 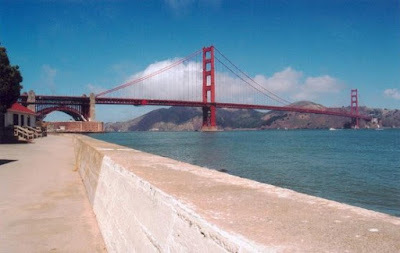 I love how I can drive across the Golden Gate Bridge, or visit the Presidio or Golden Gate Park and be immersed in nature within moments. It is a city with something for everyone. Blogging -- I feel incredibly fortunate to be able to call this my job. It started out as a hobby, but I found that it perfectly combined my three loves: writing, design and photography. It feels like a perfect fit for me and I love doing it, and I love being a part of the design blogging community - it is incredibly supportive and I have made some amazing friends through it. The blog is so much fun to do, so if someone gets some kind of inspiration out of it, it makes it all the more rewarding. NPR. 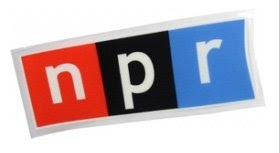 National Public Radio -- I listen to it each and every day while I blog and it is my main source of news, culture and music. I listen via iTunes on our local radio feed, KCRW. I don't own a television so I depend on NPR for my daily connection to the world. 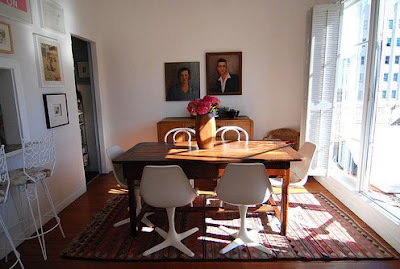 Mid-Century Modern Furniture -- Eames, Saarinen, Nelson...I love them all. I love the excellent sense of design, sleek lines, and I love to mix up these pieces with vintage and contemporary pieces. 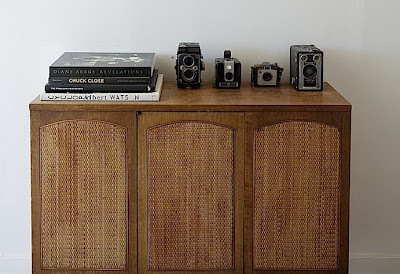 I love the contrast they add to other furnishings, and the fun, eclectic look I get with them. Vintage Portraits -- I have a family of them. I write stories about them and they are completely cheesy and endearing to me. I find them hilarious, and I like decorating with a bit of humor. 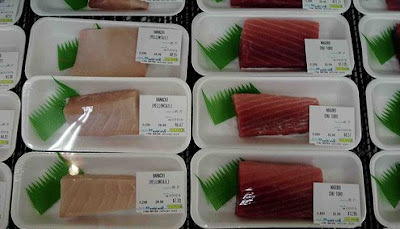 Sushi -- I could eat it every single day. I love the Japanese tradition, the etiquette, and ritual of it. Books -- I am a book junkie. I can't just buy one, and usually buy three at a time. I love art and photography books. And I love reading a good novel. There is no greater escape than a wonderful read. Catcher in the Rye is my absolute favorite. A really lovely list. Of course, it's not surprising - she was one of my first reads too and I love her blog! She's one of my favorites. Both for the content of her blog and because she has very nice manners on her blog. I can tell that she is a nice person! Me too! 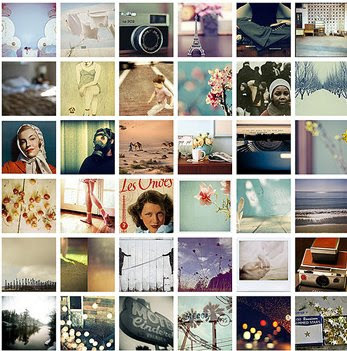 Photography, NPR, Flickr, blogging! Wish I could say SFO... have heard too much about the city but never got to visit yet. oh, i love this one too! 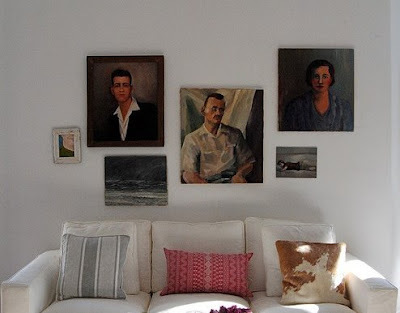 oh sfgirlbybay was the first blog i read also and inspired a host of redecorating projects, great article! great list! 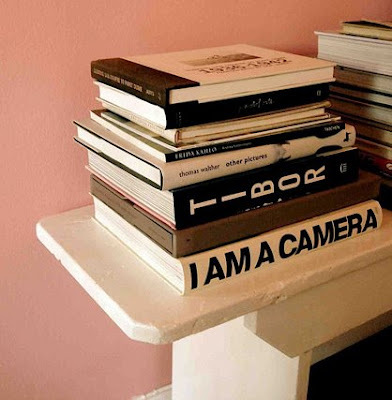 i am a book junkie and "i am a camera" is one of my favs. thanks for sharing your favorites. How wonderful! I have been a fan of Victoria's for a long time now, I love her home and her wonderful sense of style. I sure wish I could go to that flea market every week, *sigh* sounds dreamy. Thank you for sharing this ladies! oh, just loved reading all about her. I love her blog as well! !